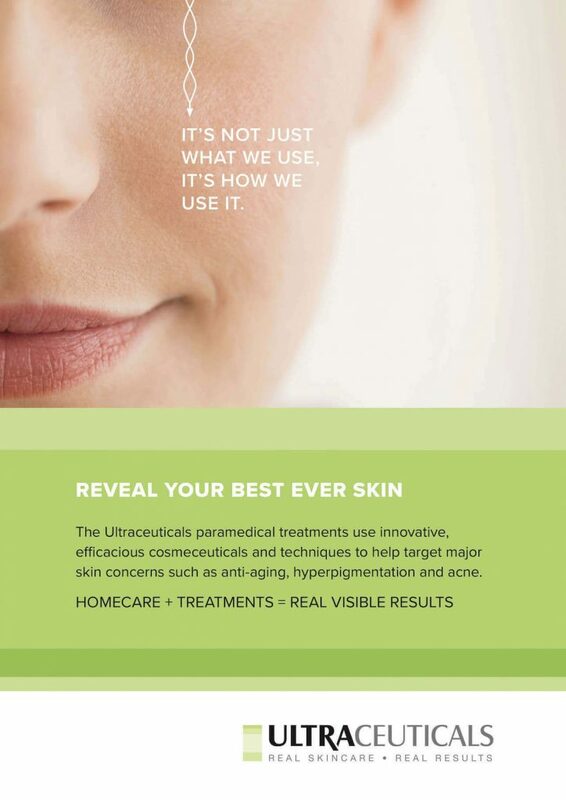 Our Ultraceuticals luxurious signature facial treatments incorporate potent active ingredients, sonophoresis infusion and gentle massage to treat key skin concerns including premature skin ageing, pigmentation, dehydration and congested skin. Signature Facial Treatments are 45 minutes and include a double cleanse, light massage, product infusion, active mask, hydration and protection. Signature “Power” Treatments include the above but also a microdermabrasion, making the total treatment time 60 minutes. A deep cleansing treatment incorporating BHA’s and potent antioxidants to penetrate deep into the pores to clear congestion. Works to calm inflamed skin, help control excessive oiliness, mattify the complexion and minimise future skin breakouts. Repair stressed and dehydrated skin. This essential moisture boost treatment balances and restores skin’s natural hydration levels. Features Ultraceuticals Vitamin B² moisturising complex (Provitamin B5 and Vitamin B3) to visibly nourish skin and plump fine lines and wrinkles. This multi action facial visibly reduces the appearance of pigmentation, uneven skin tone and dark spots. A powerful combination of 5 hyper-pigment blockers. Skin brighteners and exfoliants work synergistically to restore skin luminosity and radiance. Fantastic triple action anti ageing powerhouse ingredients Vitamin A, Vitamin C, AHA’s & BHA’s. This treatment combines pure indulgence with skin rejuvenation. Actively works to reverse the visible signs of ageing by perfecting and refining the skin’s overall appearance.